Butler County authorities said Tuesday that A PAIR OF PIT BULLS led them on a long, dangerous chase after attacking and killing another dog that morning. Kurt Merbs, Butler County’s dog warden, got the call around 9 a.m. When he arrived at the scene, Hamilton police officers were already chasing the pit bulls through several neighborhoods. At one point, the two dogs charged at them. 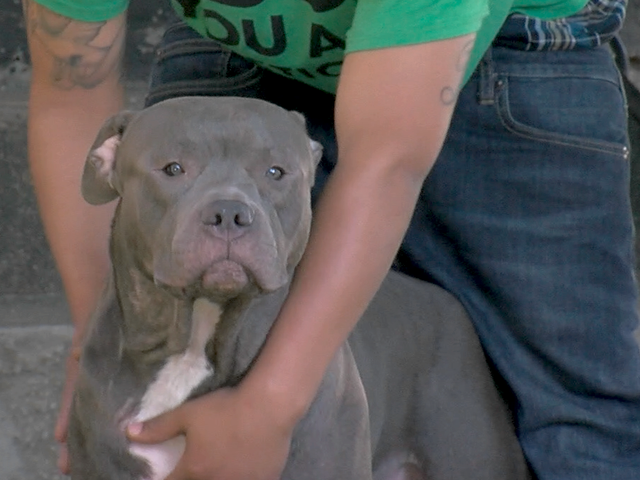 "They were going through yards, jumping fences and we had to divert several people riding bikes, walking to get them off the streets because these dogs were not friendly to people or animals," Merbs said. He said the attack happened while a man was walking a Shetland Sheepdog named Princess for his elderly neighbor. "These dogs came out of nowhere, and he didn’t have a chance," Merbs said. According to Merbs and Butler County police, one of the dogs killed Princess. Police cornered the pair later in the chase, and then their owner, Haley Suffridge, pulled up in a car. The dogs jumped in, and authorities issued several citations -- for allowing the dogs to run loose and not having a current license for either -- to Suffridge. Suffridge’s boyfriend, Rodric Pearson, said he was shocked by the news that the dogs had attacked another animal. "I have had little kids come over and play all the time with them," Pearson said. Merbs said both dogs need to be neutered, microchipped and registered with the county auditor as “dangerous dogs." Their owners will also be required to keep them fenced in and place “Beware of dog" signs on their property." Suffridge has been given a court date and will have 30 days to dispute the “dangerous dog” label for her pets. In the meantime, Pearson said he wishes he could speak to the owner of Princess, the dog killed on Tuesday morning. “I want to say sorry because I know a dog can be an important part of a family just like a little brother or sister," he said. SERPENT-EYED DANGEROUS UGLY MUTANT with no collar, tags or ID.